We receive a lot of questions from CompletelyNovel authors on copyright – whether that’s how to protect your own rights as an author, or seek permission to quote from others. On this page, we’ve put together an overview of some of the things you need to know about book rights as a self-publishing author, along with some great links to where you can find more information. Just as you as an author are looking to protect your own work, it’s important to recognise the need to ask permission to use other people’s work. If you have written a book and have included third party quotes or extracts within the text, you are normally required under copyright law to secure permission for its reuse. Permission must be granted by the copyright holder, which may be the author or the publisher of the work. Seeking permission to reuse content can be a bit slow. It can be difficult to identify the current rights holder, know what information to supply them with and then find the relevant contact name and information. One way around this is to try the free permissions service from PLSclear. This makes asking for permissions much simpler and helps you get straight through to the correct contact. Here’s a handy search widget to get you started. It’s free to use, either below or on PLSclear.com. In the UK, as the creator of a literary work, you automatically have rights to control the ways in which your material may be used without the need to assert these formally. This includes the right to copy, adapt, issue, rent and lend copies to the public. To qualify for the automatic right of copyright, your work must be original. It’s worth noting that ideas cannot be copyrighted – so the idea for your zombie-gorilla-romance-sonnet might be original, but it’s not protected until you actually write the content. If someone infringes on your copyright (copies your work or uses it without your permission) then you can take legal action, though in some case you may be able to resolve the issue through selling them a license to use the work, or using other dispute resolution methods, such as mediation. The UK Intellectual Property office has lots of information and links where you can find out more about the rights you have as an author. 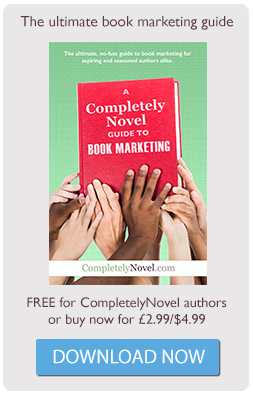 Authors publishing with CompletelyNovel maintain full rights to their work. We don’t believe in long-term lock-ins. If you get snapped up with a six-figure traditional publishing deal, we want you to be able to take that opportunity, if that’s what you want. By signing up and selling your work through CompletelyNovel you grant us a non-exclusive right to print, sell and distribute your work. You can leave at any time and take your rights with you. You can find a full list of our site Terms and Conditions, here. A copyright page won’t be generated automatically when you upload your book to CompletelyNovel, so we’d recommend that you create one and add it in at the front of your manuscript. It’s a good idea to look at the copyright page in a couple of traditionally published books of a similar genre to yours, see how the information has been presented and use that to inform your page. For a sample copyright page, download out free typesetting guide, here. Rights and licensing: What you need to know as a self-published author. Self-published and looking for an agent? Writers & Artists share their advice.